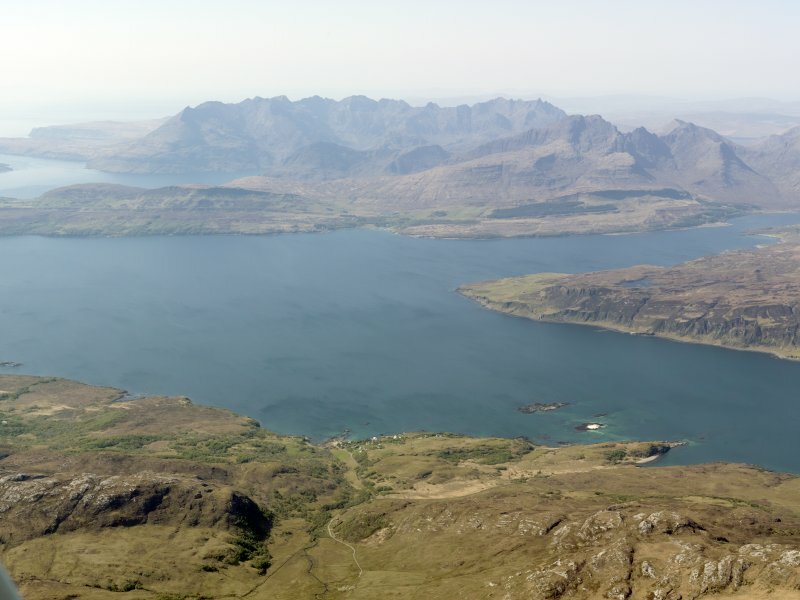 Oblique aerial view centred on the remains of the township, taken from the SW.
General oblique aerial view of the township of Ord, looking across Loch Eishort to the remains of the township of Suisnish and further across Loch Slappin to Kilmarie, Strathaird and Blabheinn, Skye, taken from the ESE. 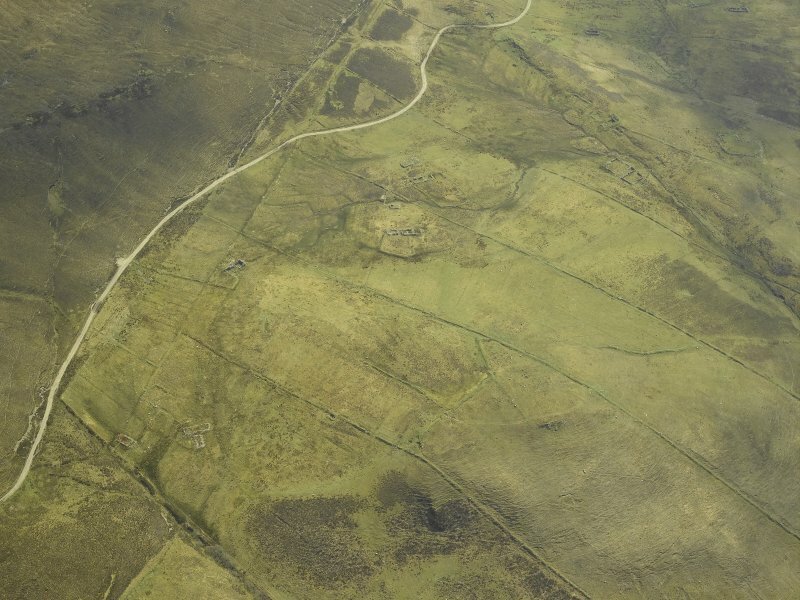 Oblique aerial view centred on the remains of the township, taken from the W.
Oblique aerial view centred on the remains of the township, taken from the NNW. 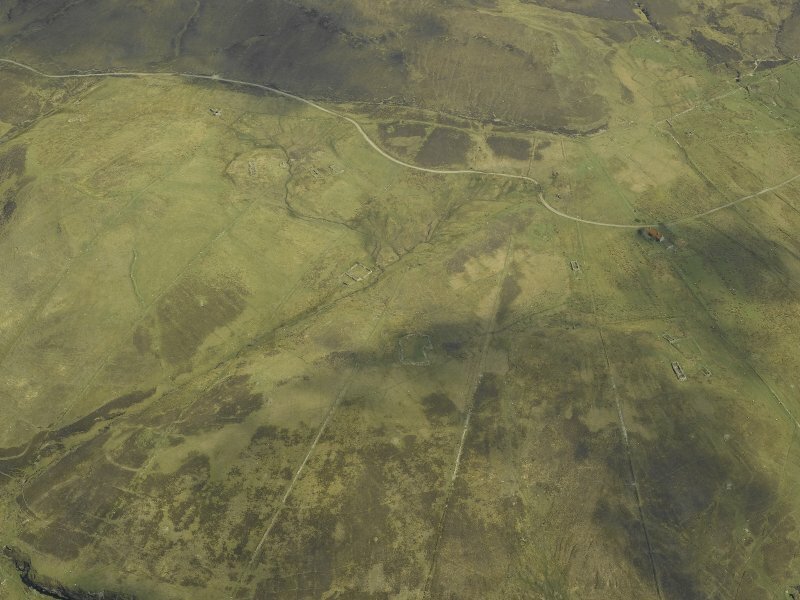 Oblique aerial view centred on the remains of the township, taken from the WSW. Boreraig and Suisinish. 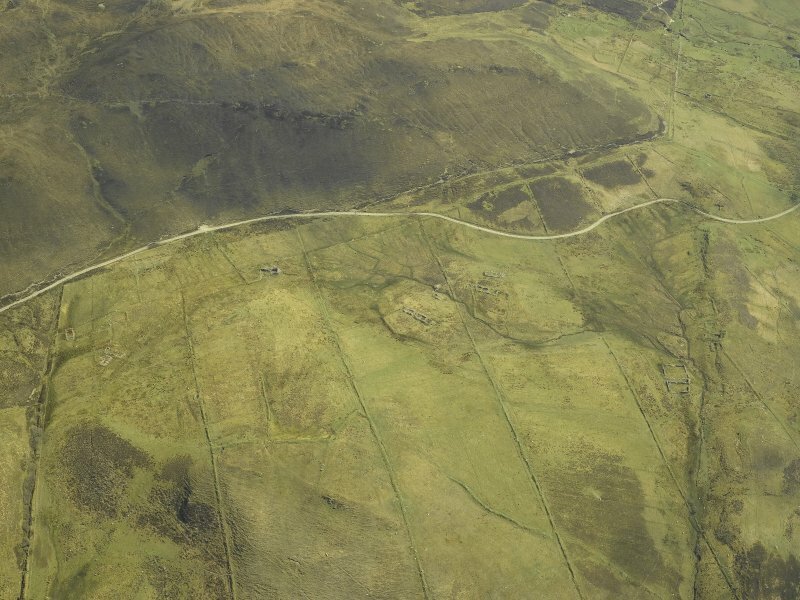 Clearance villages on Loch Eishort's northern shore, rich with evidence of settlement and land use spanning centuries. Boreraig is particularly haunting, surviving almost as it was when cleared in 1852, 'prompted by motives of benevolence, piety, and humanity ... because they were too far from the church' according to Lord Macdonald's factor! 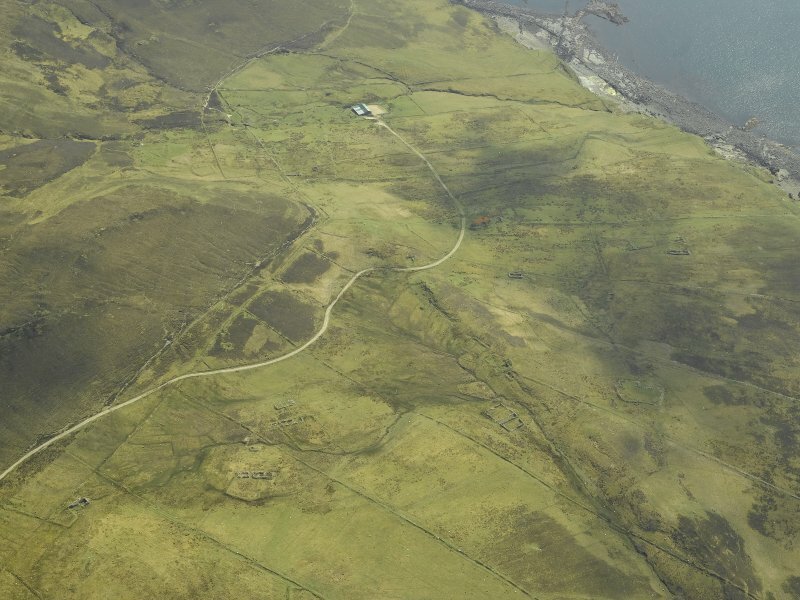 The depopulated township of Suisnish shows two distinct phases of occupation. 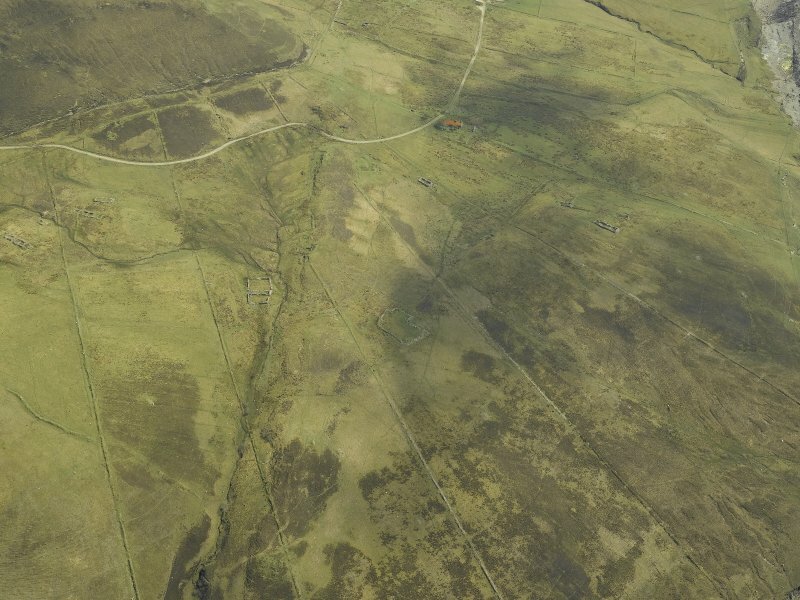 The first is represented by a run-rig township of 10 houses and 4 outbuildings situated in a compact group on a shelf by a stream at NG 594 160. 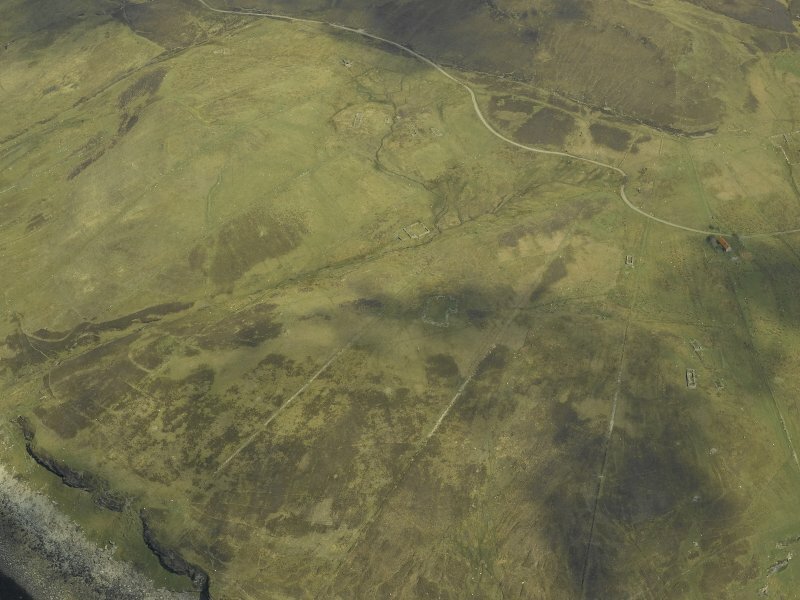 The second phase is represented by a typical improvements township, centred NG 589 160, comprising about twelve crofts, some with outbuildings and yards still extant, each situated within its own large enclosure, and occupying the whole of the Rubha Suisnish headland. The township is in use as a sheep-run, and deserted except for a shepherd's house. Visited by OS (C F W) 19 June 1961. A crofting township, comprising four roofed buildings, one partially roofed building, twenty unroofed of which three are long buildings and twelve enclosures is depicted on the 1st edition of the OS 6-inch map (Inverness-shire, Isle of Skye 1881, sheet li). Three roofed buildings, one partially roofed building and thirty-six unroofed buildings are shown on the current edition of the OS 1:10560 map (1965). Information from RCAHMS (AKK) 29 November 1996.